Requirements for dryer: No clogging inside of the dryer since materials being dried are adhesive. 24-hour unattended operation. 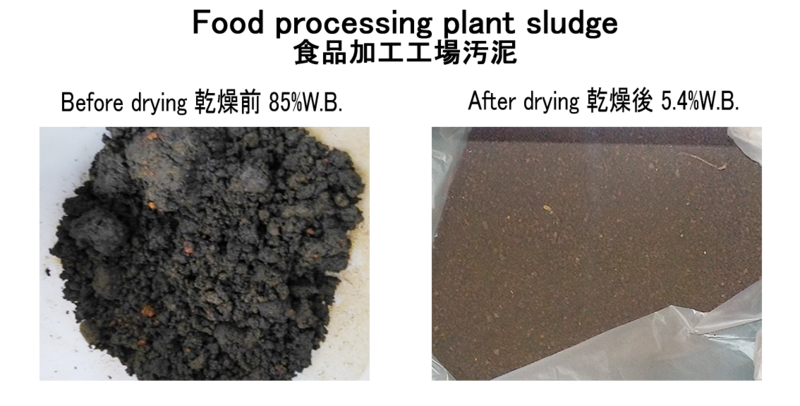 No change in components of the dried materials after drying because of the purpose for compost.